Until recently, Voronezh was just a rural city in Russia’s agricultural region. Located some 500 km away from Moscow, it isn’t part of the “Golden Ring” but has recently transformed into a bustling center, with its gross regional product (GRP) ballooning from 301 billion in 2009 to 950 billion in 2017. In 2011, Voronezh celebrated its 425th birthday and the city was made more tourist-friendly to mark the occasion. In 1972, Voronezh River was dammed to create a reservoir inside the city borders. It covers an area of 59.9 sq. km and is known as the “Voronezh sea.” You can admire Europe’s largest reservoir during a walk along the dam. The Divnogorye (“wonderful mountainous region” in Russian) Plateau is situated 140 km south of Voronezh. 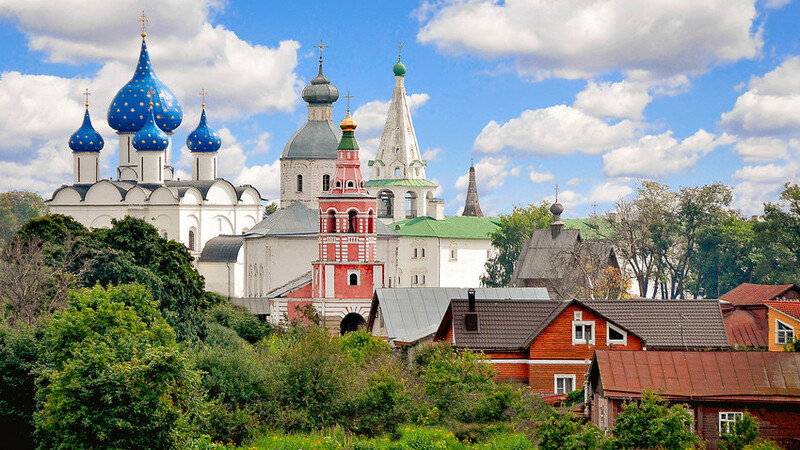 It’s one of Central Russia’s most picturesque areas and is visited by around 60,000 tourists a year. Don’t miss the chance to see the unique churches built using the local chalk-stone. A train ticket starting from 1,250 rubles ($20ish) will get you to Voronezh in 7-12 hours, so it’s best to take two days of holiday. Or you can fly there is just over an hour. 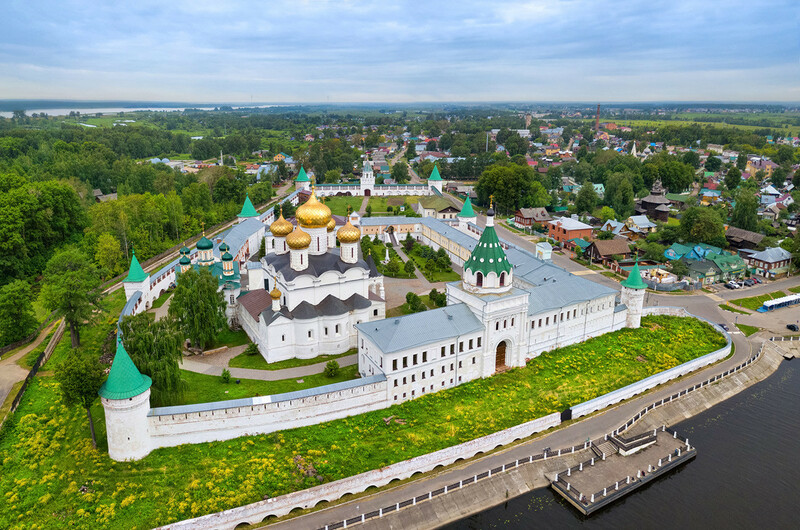 Although Kostroma was founded in 1152 by Prince Yuri Dolgorukiy (the same prince who supposedly founded Moscow), it fell into decline until the 17th century, when it became a famous town for artisans and craftsmen. Of all the Golden Ring cities, it’s the farthest away from Moscow so it often goes unnoticed. Kostroma is said to be the birth-place of the Russian Snow Maiden, but in summer this is not quite the case. Kostroma is one of the best preserved Russian towns from the 18th century, and it’s layout and buildings haven’t changed much since. Here, you can see original 18th-century trading arcades, original customs buildings, many, many churches, and more. It's a great place to see how Russians lived a few centuries ago. Legend has it that the Holy Trinity Ipatiev Monastery was founded at the beginning of the 14th century by a Tatar nobleman who converted to Christianity. Here, in the monastery, the first Romanov, Tsar Mikhail, was declared the new Russian sovereign in 1613, which put an end to the Time of Troubles. So the cloister is an important part of Russia’s history. There’s also a rare museum of wooden architecture inside the monastery’s territory. The Moscow-Kostroma night train leaves from Yaroslavsky Station. It takes about 7 hours. It’s faster to get to Kostroma by car – take the M8 highway through Korolev, Pereslavl-Zalesski, Rostov, and Yaroslavl, then turn onto the A113 towards Kostroma. Although it’s arguably the lynchpin of the Golden Ring, Suzdal can’t be reached by train directly from Moscow, which often puts tourists off going there. But for this reason, Suzdal is probably the least crowded of all the cities mentioned in this article, and if you’re looking for serene, sleepy old Russia – this is the place for you. Suzdal is so old that Russian historians don’t know the exact date it was founded. But it definitely existed before 1000 AD. During the 12-13th century, this city was the capital of three duchies (Rostov-Suzdal, Vladimir-Suzdal, and Suzdal). This is why there are so many brilliantly preserved churches, temples, and civic buildings – in total, there are over 200 historical monuments, the earliest dating back to the 13th century. Also, Suzdal wasn’t affected by WWII and only 15 churches were demolished during the USSR, so it remains frozen in time and is even better preserved than Kostroma. 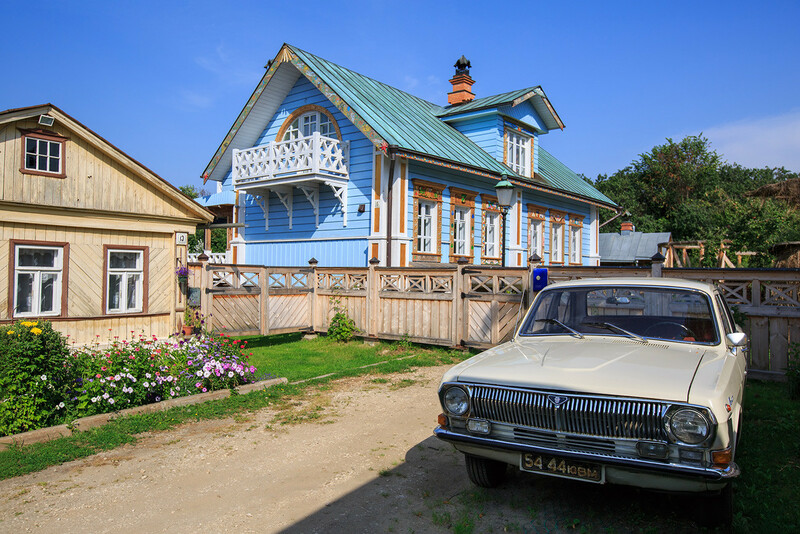 What’s more, Suzdal doesn’t have multi-storeyed contemporary houses – no building here is taller than three levels. Eating sweets is great in every city, but in Suzdal it’s really special. The small city and its population of only 10,000 is supported almost entirely by tourism. Don’t miss the chance to try local medovukha (a light beverage made with honey) and local yogurts (made out of super fresh milk from cows grazing in the surrounding pastures). Be sure to visit one of Suzdal’s Russian restaurants – although the choice isn’t huge, the city doesn’t have a single fast-food joint. Founded in 1352, the Monastery of St. Euthymius is an imposing medieval fortress that for a long time doubled up as a prison. Also, Prince Dmitry Pozharsky, one of the two people who saved Russia from the Polish invasion, was buried here. But the unique feature of the monastery is its bell-gable that hosts 17 historical bells. Every Sunday at 1:30 pm there’s a guided tour with a demonstration of the bells. Out of all the cities on this list, this city is the farthest from Moscow, which is why it’s rarely included in tourist itineraries. 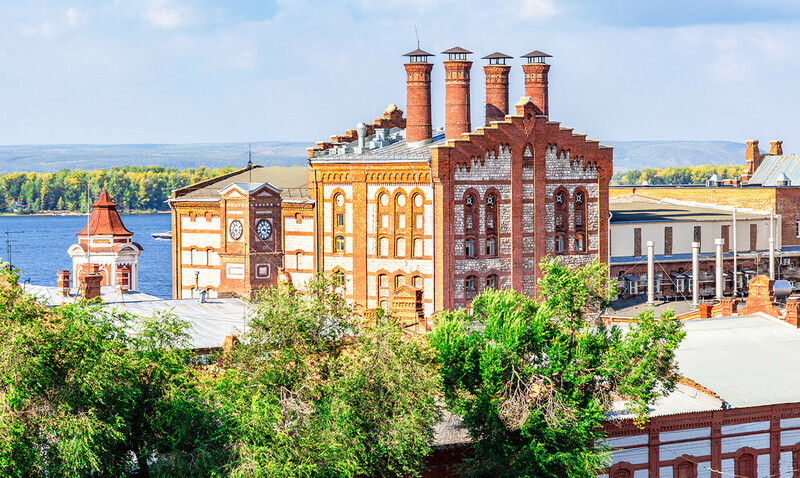 Although Samara isn’t considered a particular architectural or historical gem, it’s really worth visiting, especially in summer, when the beach life is bustling on the banks of the Volga and its islands. Every Samara native is fond of the city’s “mother river,” Volga. It’s cool to come here in summer to enjoy all the leisure the river provides. Take a boat trip to the islands scattered across the giant river. Take a trip and camp for the night on one of the islands – it’s safe, as many locals live here with their families all summer. Or just infinitely chill on the beach with a jug of local beer. 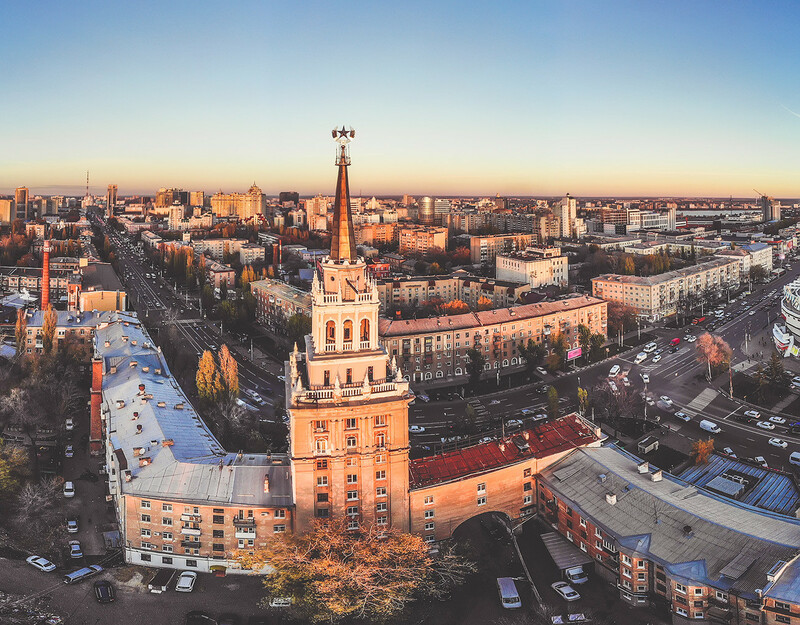 Samara is famous for producing one of the country’s most popular beers, Zhigulevskoye, which takes its name from the hills surrounding the city. Founded in 1881 by Austrian Alfred von Vakano, the Samara beer plant has been pumping out ale ever since. The so-called “Dno” (“The Bottom”), a spot where you can buy beer straight from the plant, is very popular, so don’t miss the chance to experience the local beer culture at its best! This is the only underground facility built for the leader outside Moscow, in case the capital was stormed by the Nazis. Since the 1990s, it’s been open for guided tours that should be booked in advance. Samara used to be one of the largest trading centers of the Volga Region, and a lot of wealthy and influential merchants lived here. Their private houses and civic buildings form a unique ensemble. The mansions of Kurlina and Naumov, The Sacred Heart Catholic Church, Samara Choral Synagogue, and the famous Golovkin Dacha, also known as “The House with Elephants,” are just a few gems that can be found here. Trains to Samara leave from Kazansky Station every day; it takes about ab16-17 hours to get there by rail. Alternatively, you can catch a two-hour flight – but be sure to book a taxi or have someone meet you at Kurumoch Airport, which is situated pretty far away from the city. Located halfway between St. Petersburg and Moscow, Velikiy Novgorod is usually skipped by tourists traveling from one capital to another. Either way, tourists get to spend just a few hours here – but for a full impression, this city deserves at least two days. This imposing fortress dates back to 1044. 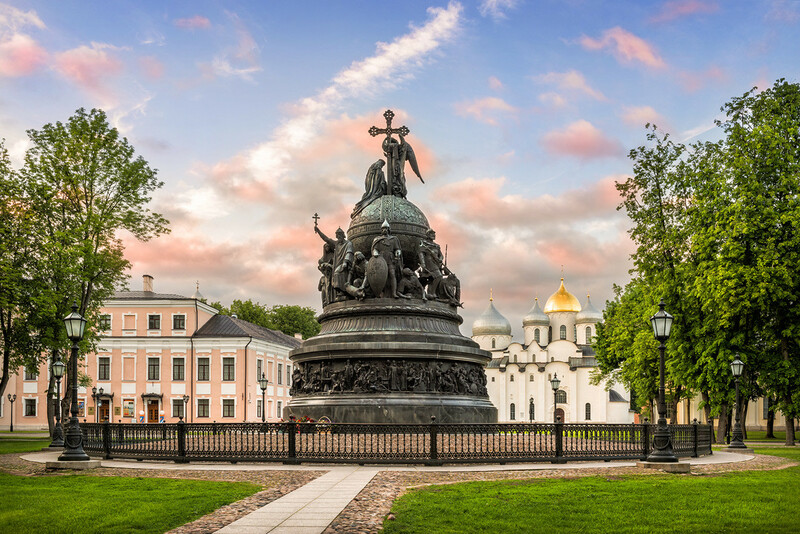 For a long time, it has been the stronghold of one of Northern Europe’s most powerful states, the Novgorod Republic. Here in these lands, the Russian state started its history a thousand years ago. The Kremlin offers a great example of how medieval Northern fortresses were built and houses a lot of unique museum displays. Near the Novgorod Kremlin, many archaeological excavations are underway – loads of birch bank manuscripts have been found here. You can walk above the ancient streets and learn about the town’s rich history. In summer, you can also watch Russia’s foremost archaeologists and historians work on unearthing ancient secrets. It’s fascinating, but in Veliky Novgorod’s Church of the Transfiguration on Ilyina Street, the original frescoes by Theophanes the Greek are still intact. This artist was Russia’s foremost icon painter, teacher of Andrey Rublev. Theophanes’ other works can only be found in Moscow, where they’re much harder to see because of the crowds and tight schedule of the Moscow Kremlin. But here in Veliky Novgorod’s Church of the Transfiguration, you can quietly enjoy his art for as long as you want. A train from Moscow’s Leningradsky Station will get you to Veliky Novgorod in 6 to 7 hours, while a car ride takes 5 to 7 hours (534 km).